Myself Jooby Abraham 28 yrs, humbly request your valuable prayers as i have passed my B.tech in Computer in 2012 but after all so many years i haven't received a good stable job. I belong to a middle class family where i have to pat the shoulder of my parents and my younger brother’s education. For that i am currently working in a company which is as a support person from past 3 years, I had got many opportunities to move on to a good domains within the company but my manager he is always against me in my growth. I have begged him many a times to please release me to a good job opportunities within the company but he has never ever agreed, even i have cried in front of him if by mistake i have ever done any mistake towards him please forgive and help me to move onn, but there too he says i have never hurted him but he will never ever allow me to grow that’s it and if i am having too much problem in staying with company you can put your resignations... Now I am in such a situation hoping every day that tomorrow everything will get settled up, but nothing is going well till today.. As now i am in deep pain and trouble of not getting a good job.. i am going mentally and physically weak due to heavy tensions each and every day , i had always prayed but i dont know why my prayers are being unanswered. 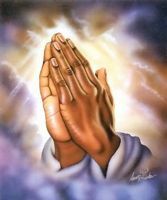 I humbly beg your prayers so that with the miraculous grace of God i can be saved and miracles happen in my life.. Please please please pray for me.